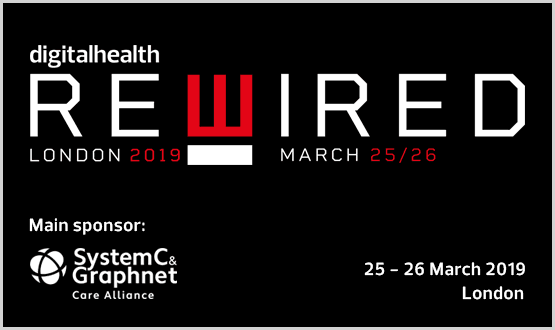 The Digital Health news agenda has been packed this week of reports from the inaugural Digital Health Rewired. The two-day event in London attracted more than 1,600 people – who ranged from NHS IT leaders, suppliers and start-ups. 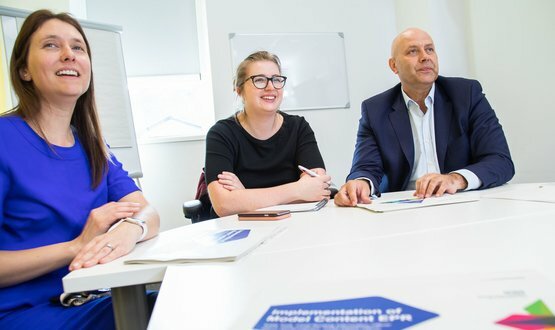 On Monday (25 March), we had the Leadership Summit where NHS IT leaders gathered to discuss a number of issues, including ensuring the next generation of CIOs and CCIOs are properly prepared and trained. There was also a keynote address from Professor Vasco Antunes Pereira, who has served as chief executive at Hospital de Cascais. Professor Antunes – who is now CEO of Portuguese private healthcare company Lusíadas Saúde – gave attendees an international perspective of achieving digital maturity in healthcare. Another speaker highlighted the need for creating a single standard for medication information. The national leader argued such a standard was in development and would offer the potential to save “huge amounts of money”. Then on Tuesday (26 March), the action moved to Olympia London for the Digital Health Rewired Conference and Exhibition where attendees heard keynotes from the likes of Dr Ben Goldacre, the chair of Matt Hancock’s Healthtech advisory board. Dr Goldacre argued to a packed audience that data analytics in healthcare is fundamentally broken and mistakenly focused on academic pursuit rather than actionable insight. Straight afterwards, the chairman of the British Heart Foundation (BHF), Doug Gurr, told the audience that data science will be “transformational” in the healthcare sector. Gurr, who is also head of Amazon UK, urged frontline clinicians to embrace innovation. “People will only adopt things if they can see it working, so we have to get out there and show that it works,” he said. During the afternoon sessions, another keynote speaker was Babylon Health CEO, Ali Parsa, who spoke about the AI dawn of digital health services at scale. Along with references to David and Goliath, Parsa told the Digital Health Rewired audience that he wanted to make healthcare “accessible” and “affordable” for all. Attendees also heard from Hadley Beeman, chief technology advisor to Matt Hancock who stepped in for the health secretary. She told the audience that the future of NHS Digital is solid, even with the creation of NHSX. Beeman, who was appointed by the health and social care secretary in August 2018, said NHS Digital is still of “value to the NHS”, adding “it’s not going anywhere” despite the announcement of NHSX which has been tasked with overseeing technology in the health and social care sector. On top of all the keynotes, the winner of the first Rewired Pitchfest was also announced on the day. TestCard – which enables individuals to conduct urine tests at home – beat stiff competition during a fiercely fought final round and were judged to be the overall winner. Announcing the winner, Tara Donnelly – interim chief digital officer at NHS England – said the judges considered the device a “transformative innovation that could make a huge difference not just in this country but overseas as well”. They also praised the “consumer-empowering focus” of the TestCard, something Andrew Botham – co founder and chief scientific officer – said was central to the concept.